loyal to the grape and the land, who produced the beauty in your glass." ​~ L.S. Savor Piemonte’s rich bounty through this curated tasting menu created for you by Zingari Ristorante and La Dolce Vigna, a boutique wine + culture tour company. The heart of Piemonte’s viticulture and gastronomic tradition is a region just two hours south of Turin called Le Langhe (pronounced Lay - LAHN-gay). It is home to a proud and hearty gastronomy, two of Italy’s most sought-after red wines — Barolo and Barbaresco — the Slow Food movement, a myriad of medieval castles, the elusive white truffle, and, to top it all off, UNESCO recently included the Langhe on their World Heritage List for its stunning fog-kissed, undulating landscape. 5% of sales will be donated to CHEFS Program of Episcopal Community Services. Zingari Ristorante is a supporter of the CHEFS Program, Conquering Homelessness Through Employment In Food Services. We are grateful to be able to support the growth of our students, and nurture their culinary training in our restaurant. Many thanks to our patrons who support this community-based opportunity and a new beginning. ​Excited to explore Piemontese cuisine and wine in its natural habitat? 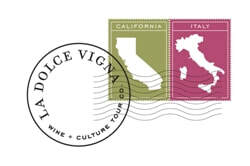 Clients of Zingari who book any of La Dolce Vigna’s 2018 Italian Wine Tours (Piemonte, Tuscany, Sicily, Veneto, Puglia + Basilicata) by December 31, 2017 will receive a $250 credit per person to use toward purchasing bottles of wine from the incredible wineries we visit on the tour.